“ Recently I purchased a new premises for my patchwork & quilting business in Midland. The fascias on this building are huge and I wasn’t really sure where to start. I found Perth Graphics Centre online through the Yellow Pages and emailed them to which they replied first thing the following morning. (Note to self – prompt and professional). A day or so later Tony and I were standing out the front of my shop measuring the signage area and discussing what would be needed. 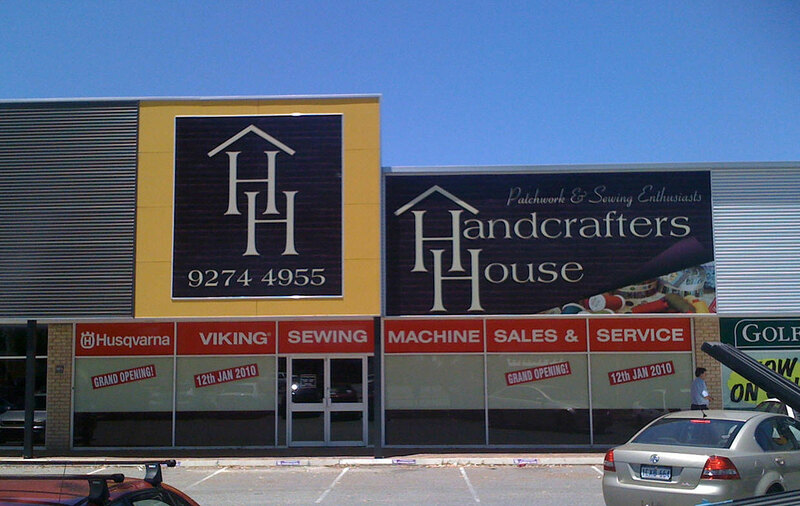 As I dabble in a bit of graphic design I wanted to design my own signage, which was not a problem for Perth Graphics. After a lot of emails back and forth, due mainly to my indecision on colour, design, size and placement (after all I wanted it to be perfect) we came to the final product which was installed less than a week later! All of this happened in the weeks leading up to Christmas, one of the most busiest times of the year.